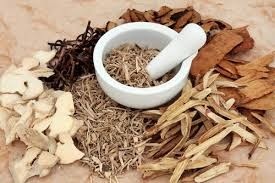 Egyptian and Chinese texts on herbal teas go back more than 3000 years. Even before the written word this method of healing people must have existed. Another name for herbal tea is tisane or infusion. Herbal tea, tisane and infusion is made first of all, by boiling water, leaving it for 3 minutes, before pouring the water over the dried or fresh herbs. For 1 cup use 1 tsp of dried herbs or 1 tbsp of fresh herbs, pour hot water over the herbs, put a lid on the cup, leave to steep for 4 - 7 minutes, then strain. A normal teapot holds roughly 1 litre of water, use 5 tsp of of dried herb or 5 tablespoons of fresh herbs. Pour hot water on the herbs, leave it to steep for 4 - 7 minutes, then strain. Make every day a fresh batch. If desired, honey, sugar, slices of lemon, orange or lime may be added. When adding honey make sure the herbal tea is below 50 ℃, above 50 ℃ it looses its properties. When adding citrus juice make sure the herbal tea is below 70 ℃, above it will destroy vitamin C.
When roots, bark or seeds are used, they need a longer time to release their active ingredients, this is referred to as a decoction. The material should be chopped or bruised, to help to speed up the process. Use 1 tsp of dried herbs or 1 tbsp of fresh herbs to 250 ml of cold water. Bring to the boil and simmer for 20 minutes. Allow the ingredients to cool down in the liquid, strain. If desired honey, sugar, slices of lemon, orange or lime may be added. A decoction should be made fresh every day. In general drink a wineglass or small cup 3 x a day before a meal. For 1 or 2 days for minor problems such as a mild sore throat, for several days for a cold, for several weeks for chronic problems. With long term problems when you see them improving, reduce the amount gradually till you no longer need it. In choosing the herbs I’ve tried to use herbs/spices that are effective, easy to procure, they either grow around us or we keep them in our fridge (ginger) or store cupboard (spices). Just a few may need to be bought. Demulcent – a substance in the herb that soothes the bronchials and eases coughing. Expectorant – a herb that helps get rid of excess mucus in the lungs. Diuretic – a herb that helps increase the flow of urine. Carminative – a herb to settle upset stomachs and dispel wind. It may also ease heartburn. Below is a list of the most common ailments and the herbs one can use. After this section there is a list of herbs in more detail, followed by some recipes. 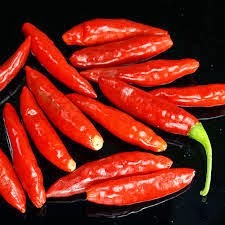 Cayenne pepper– in particular for mucus. 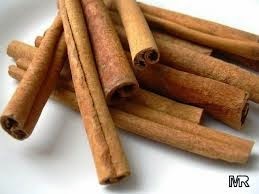 Cinnamon – soothes aches and pains. Dog Rose – antioxidant; vitamin C.
Lemon – antibacterial; vitamin C; acts as a defence against germs. Lemon balm – feverish colds. Lemon verbena – feverish colds. Karkadé – helps lower fever. 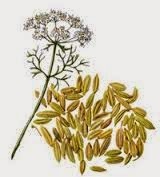 Aniseed - expectorant, dry coughs. Honey – soothes a sore throat. Lemon balm – chronic, bronchial catarrh. Sage – gargle for sore throats. 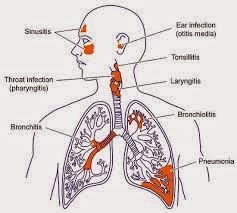 Thyme – dry cough; bronchitis; bronchial cough; asthma; laryngitis; tonsillitis. 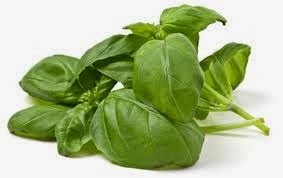 Basil – aids digestion; settles the stomach; relieves nausea. 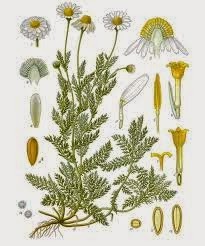 Chamomile – antiseptic; antispasmodic; anti-inflammatory. 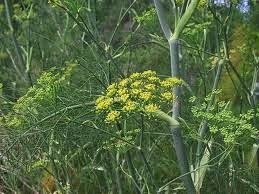 Fennel – stimulates appetite; anti flatulence; indigestion; colic; general upset stomach. Juniper berries – aids digestion. Lavender – in particular for wind. Lime leaves – improves digestion; relaxes spasms. Mint – aids digestion; stops feeling sick. Rosemary – improves digestion; digestive problems associated with anxiety. Savory – improves digestion; indigestion; nausea; colic. Dandelion – tonic for the liver. Dog Rose – diarrhoea; gastritis. Rosemary – stimulates liver and gall bladder. Sage – tonic for the liver; stimulates the liver. 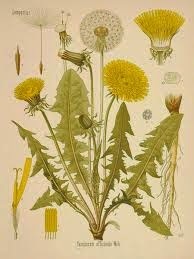 Dandelion - soothes rheumatism and gout. Juniper berries – removes uric acid. Nettles – removes uric acid. 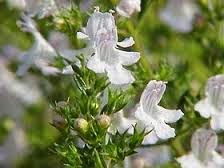 Rosemary – gout and rheumatism. Nettles - tonic for bloodvessels. Basil – improves concentration; mentally uplifting. Lavendel – calming and anti-depressant. Lemon balm - tension; depression; sedative. 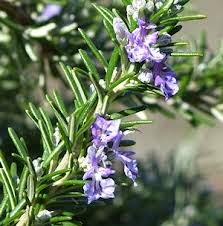 Rosemary – depression; apathy; nervous exhaustion; headaches associated with nervous tension. 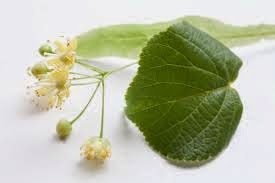 Tilia – calms the nerves. 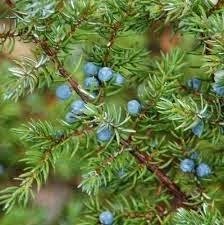 Juniper berries – to treat urinal tract infections. Karkade - tonic for the kidney. 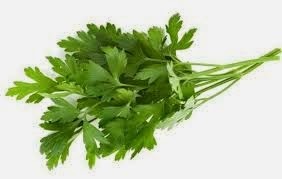 Parsley – strong diuretic, kidney problems. Chamomile – calms and restores the nerves. Lavender – calms and relaxes. 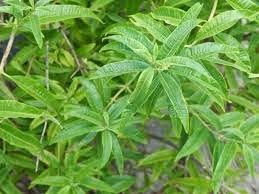 Lemon verbena – relaxes and soothes. A stimulant herb that improves digestion, benefits the liver and circulation and has expectorant and oestragenic effects. Internally for dry coughs, indigestion, wind and colic. Originally from India. The leaves should be harvested before it flowers. 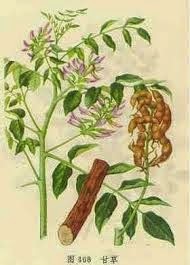 By drying, basilicum looses a lot of its properties. It encourages appetite, is an antispasmodic, aids digestion, settles the stomach, relieves nausea, improves concentration, mentally uplifting. In ancient Greece, bay leaf wreaths were given to the victors at the Pythian Games held in Delphi, in honour of the god ‘Apollo’. The term ‘poet laureat’ is associated with the latin name, Laurus nobilis as well as Apollo being the god of poets and writers. Bayleaf is used in cooking. It is added to sauces, stews and soups. The leaves can be harvested throughout the year. They stimulate the digestion, help with indigestion, poor appetite, colic and wind. Another name for Blackberry is Bramble. 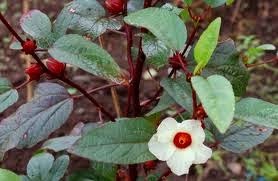 An old fashioned name for it is ‘goutberry’ which indicates its traditional use. The dried leaves are used to treat gout. Chewed fresh, to help bleeding gums. Also effective against diarrhoea. Warms up the body and stimulates the release of built up mucus in the sinus and respiratory passages. Chili also causes you to sweat, which results in lowering fever and getting rid off toxins. There are many species of chamomile, but the best for tea is Anthemis nobilis or Matricaria chamomilla. Chamomile has antiseptic, antispasmodic and anti-inflammatory properties. It helps to calm and restore the nerves and in doing so helps with sleep disorders. Soothes aches and pains, natural pain reliever, antibacterial, antifungal. It stimulates circulation and increases elimination of toxins. 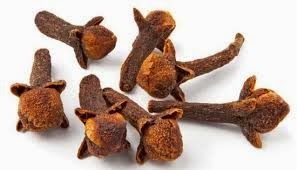 Cloves are an expectorant, makes it easier to cough up and eliminate phlegm. It is a natural pain reliever, high in anti-oxidants, it supports the immune system. Regarded as a weed by most gardeners, it has a long medicinal history. It is one of the herbs used in spring as a tonic to restore the liver after it has been working hard during winter when one tends to eat heavier food. It has a stimulating influence on the secretion glands of the stomach wall, liver, pancreas, gallbladder and intestines so that they function better. It is cleansing, removes excess water from the body, aids digestion, relieves dyspepsia and eases liver problems. 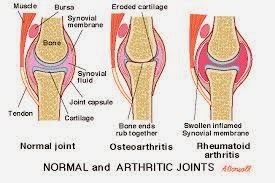 It soothes rheumatism and gout. 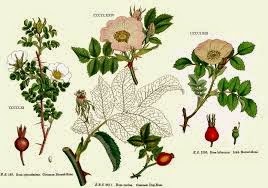 The Dog Rose got its name from the belief in the Middle Ages that it could cure rabies, a ‘mad dog bite’. It is an astringent, tonic herb, rich in vitamins, especially vitamin C. Internally used for colds, flu, minor infectious diseases, scurvy, diarrhoea and gastritis. Once used as a cure for all sorts of ailments. A cooling herb that lowers fever and reduces inflammation and soothes irritation. 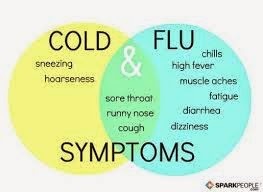 Internally for flu, colds, catarrh, sinusitis. Externally for irritated and inflamed skin, mouth ulcers. Very common in our area. It was well known to the ancient Greeks and Romans, the Greeks used it for flavouring, the Romans cooked it as a vegetable. Apart from its culinary uses, the seeds are used to stimulate appetite, against flatulence, indigestion, colic as well as a generally upset stomach. It improves lactation. Old remedy to relieve a sore throat, it loosens up congestion due to a cold. It calms an upset stomach, helps against nausea, relieves aches and pains and has anti-inflammatory properties. A herb that has been in use for at least 2500 years. It is thought to get rid of the toxins in the body. Especially used to treat stomach ulcers and is a useful expectorant. Often added to tisanes to make them more pleasant to drink. 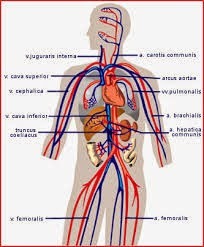 Should not be used by persons with high blood pressure, nor persons who use digoxine (heart medicine). To fill up a pot of honey, a bee has to fly 3 x around the world! Honey is mainly sugar. Different types of sugars, main ones are fructose (38.5 %) and glucose (31 %). 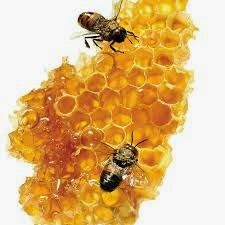 In total 80% of honey is made up of sugars, just over 17 % consists of water and the rest just under 3% are made up of vitamins and minerals. It is soothing and has antibacterial and antifungal properties. It takes 2 years for the berries to mature. When ripe the berries are black. They have been used to flavour gin, they are added to pâtés, sauerkraut, game and meaty stews. 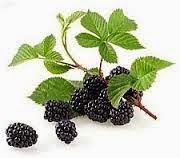 Medicinally the black berries are mainly used for urinal tract infections and to remove uric acid. They reduce colic and wind, stimulate the digestion and uterus. Should not be given to pregnant women. Native to northern Provence. 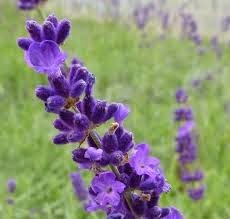 Do not confuse it with the large flowering lavenders (Lavandin) most of us have growing in our garden. Lavandin does not have the same properties. In flower, Lavandula angustifolia reaches a height of maximum 60 cm. There are many cultivars of Lavandula angustifolia, one of them is Lavandula ‘Hidcote’. Lavender works as a sedative and is antispasmodic. It has calming and anti-depressant qualities. Used for headaches caused by stress, insomnia and to ease flatulence. The flowers should be picked when they start to fade. Native to the Middle East, but has now naturalised in Asia, Mediterranean countries, throughout Europe and North America. 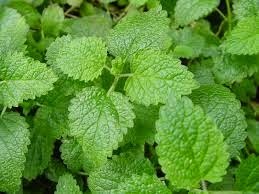 Lemon Balm was traditionally used to treat tension and depression, ease chronic, bronchial catarrh, headaches, feverish colds and as a sedative. Native to tropical America, brought by the Spanish to Europe in 17th Century. Traditionally it was used to scent finger bowls at feasts and to give fragrance to soaps and perfumes. An astringent, aromatic herb rich in essential oils, that acts as a mild sedative, relieving spasms, especially of the digestive system and reducing fever. The wood of the Lime or Linden tree is lightweight and pale in colour. It is used in carving and musical instruments. In spring when the lime tree is in flower, the scent is intoxicating. 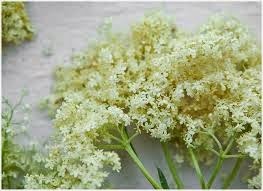 The flowers are a diuretic and expectorant, calm the nerves, lower blood pressure as it attacks the atherosclerosis in the arteries, increase perspiration rate, relaxes spasms. Mostly used for its calming influence. Native to West Africa, but now found in many parts of tropical Asia and South America. The flowers are pale yellow with a dark red spot in the middle. An aromatic, astringent, cooling herb, diuretic, provides Vitamin C and helps to lower fever. A tonic for the digestive system and kidneys. Mainly used worldwide as an acid flavouring agent. The local Marigold, Calendula arvensis, depending on the weather, normally starts flowering in February. 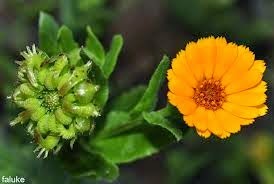 The flowers are small, compared to the larger Calendula officinalis. 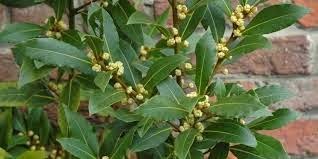 Often added to skin creams to treat skin ulcers or slow healing wounds. 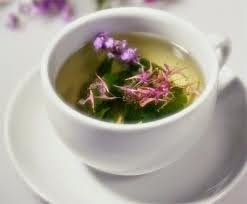 As a tisane to treat ulcers in mouth, throat and in the gastro-intestinal tract, painful periods and delayed menstruation. 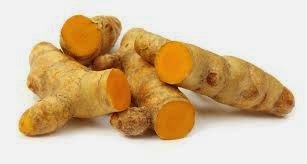 It reduces inflammation, stems bleeding and heals damaged tissues. Do not take during pregnancy as it stimulates the womb. There are at least 30 species of mint. They have a habit of cross-pollinating to produce just one general, unspecified sort of mint. To prevent this from happening pinch out the buds before they flower. 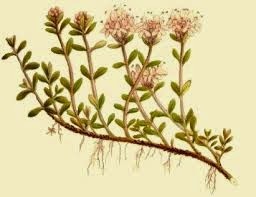 It is used in deserts, drinks and meat dishes. Grown near roses, mint helps to reduce aphid infestations. All mints can be used, but Mentha piperita is favoured. 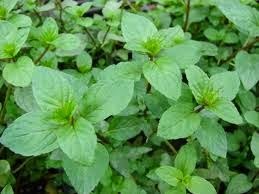 Mint relaxes the muscles of the digestive tract, stimulates the gall flow, hence it helps to treat indigestion, flatulence and colic. It stops you feeling sick and stimulates sweating with fever and flu. Never give mint to babies in whatever form. 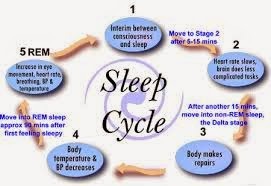 Do not drink at night time as it stimulates. Till recently, in folk medicine, arthritis and rheumatism sufferers used to flagellate themselves with nettle branches to relieve the pain. Nettles absorb minerals, especially iron, from the soil. They are a good tonic for anaemia, nettles contain a lot of vitamin C. Vitamin C facilitates the absorption of iron into the blood. 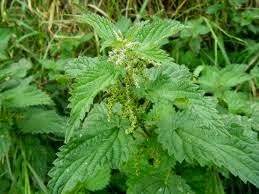 Nettles works as a diuretic, they remove uric acid from the body and in doing so improve the condition of gout and arthritis sufferers. The leaves should be harvested in spring. Parts used: young stalks and leaves. It is one of the most common culinary herbs. Rich in vitamins, especially vitamin A and C and minerals. Just like nettles, parsley absorbs the minerals from the soil and stores them in the leaves. 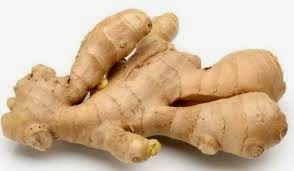 It is a diuretic herb, reduces inflammation, and clears toxins. It stimulates the digestion and uturus. In excess it is toxic especially the essential oil. Do not use in great quantity during pregnancy. Greek scholars wore garlands of rosemary when they were sitting examinations to improve their memory. Queen Izabella of Hungary (72 years old) claimed that she had regained her strength and beauty (she was crippled with gout and rheumatism) by using Hungary water, rosemary tops macerated in alcohol, that the King of Poland proposed to her. It relaxes spasms, relieves pain and increases perspiration. 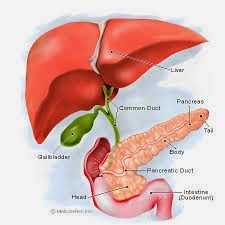 It stimulates the liver, gall bladder, improves digestion. 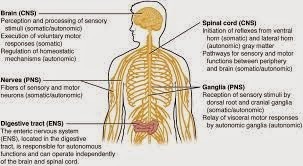 Internally for depression, apathy, nervous exhaustion, headaches associated with nervous tension, poor circulation and digestive problems associated with anxiety. Externally for rheumatism, arthritis, neuralgia, muscular injuries, wounds, dandruff and hair loss. Leaves can be harvested through the year. Parts used: stalks and leaves. Do not take during pregnancy. Do not drink for more than a few days at a time. It is a stimulating herb so do not drink at night. Salvia is widely used as a culinary herb. It has always been associated with longevity. It was often planted on graves with other herbs that improve memory. During the China trade for tea in the 19th century, the Chinese would trade 2 boxes of tea for 1 box of sage. 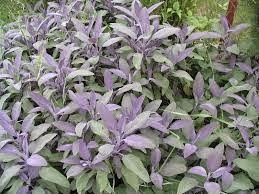 The purple variant of Sage is considered to be better than the green variety. It stimulates the liver and digestion. It is a tonic for the liver and improve blood circulation. It decreases the milk production when breastfeeding is being stopped and decreases sweating at night during the menopause. Do not take in large quantity during pregnancy. Do not use if you are suffering from epilepsy. It should not be taken more than a few weeks at a time. An antiseptic, astringent, warming herb, that improves the digestion, increases perspiration and has expectorant effects. It stimulates the uterus and nervous system. Internally for indigestion, nausea, colic, diarrhoea, bronchial congestion, sore throats. Raises blood pressure. Principally used for gastric complaints, to stimulate appetite and aid the digestion. Parts used: leaves and shoots. Thyme is widely used in cooking as an aromatic herb. It works as an expectorant, improves digestion, relaxes spasms and controls coughing. It is strongly anti-septic and anti-fungal. Internally for dry coughs, whooping cough, bronchitis, bronchial catarrh, asthma, laryngitis, indigestion, gastritis and diarrhoea. Externally for tonsillitis, gum disease, rheumatism, arthritis and fungal infection. Parts used: foliage and flowers. Do not use in excess during pregnancy. Do not for more than 2 to 3 weeks without a few days' break. Native to south-east Asia. An essential ingredient in curries and curry powder. It stimulates the digestive, circulatory and respiratory systems and uturus. Has anti-inflammatory and antibiotic effects. Relieves catarrh. Juice of ½ lemon; 1 stick of cinnamon (coarsely ground); 1/2 stick of liquorice (bashed into several pieces); 3 slices of fresh ginger cut fine; ¼ tsp cloves (coarsely ground); ½ tsp turmeric; pinch of chili pepper; 3 cups of water; 1 ½ tbsp of honey. Mix all ingredients apart from honey and lemon in a pan, bring to the boil and simmer for 20 minutes, let it cool down a bit, strain, add lemon juice and honey. ½ handful of fresh sage leaves; ½ handful of fresh rosemary leaves; ½ lemon; honey to taste. Mix herbs into a teapot, pour 1 liter of hot water of them. Leaves for 10 minutes, strain, add the juice of ½ lemon and the honey. Gargle with this every 2-3 hours, a wineglass full. Swallow it after the gargle. The tea is a disinfectant and healing. 1 tsp of dried chamomile; 1 tbsp of dried fennel seeds (bruised); 2 fresh sage leaves or ½ tsp if dried sage; 600 ml of hot water; honey optional. Mix herbs into a teapot, pour the hot water over it. Leave for 10 minutes, strain. 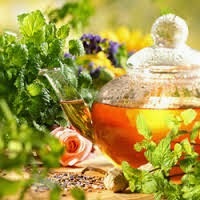 4 tsp of dried chamomile; 3 to 4 sprigs of fresh mint or 1 tsp of dried mint; 600 ml of hot water. Mix herbs into a teapot, pour hot water over it. Leave for 10 minutes, strain. Drink Dandelion Tea after each meal, plus mid morning and mid afternoon. Every morning on rising drink one or two glasses of lemon water. Try to drink five more of this during the day. 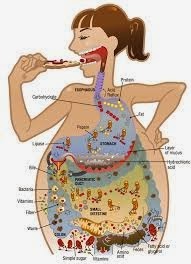 Do not eat sugar, honey or other refined carbohydrates. Take 2 x day a multivitamin and a mineral tablets. Alfalfa sprouts, Artichokes – Globe as well as Jerusalem artichoke, Bean sprouts, Beetroot, Cabbage – broccoli and other members of the cabbage family, Fennel, Garlic, Leeks, Onions, Parsley, Radish, Turnip, Watercress. Apples and pears, Apricot, Avocado, Banana, Berries, Cranberries, Grapefruit, Grapes, Lemons, Oranges, Papaya, Pineapple, Watermelon. Fruit - citrus fruits/apples/pears/ a few bananas. Vegetables - no potatoes, tomatoes, peppers, aubergines, mushrooms, olives and avocado, dried lentils, beans or sprouts of various beans. Fish - not smoked, no tuna. Grains - brown rice/brown rice flour/flaked rice/rice cakes. Drinks dandelion root tea/rice milk/still mineral water. Avoid soy and soy products. Add the following to Week 1. Grains -porridge oats/barley/rye/rye biscuits/millet/buckwheat/flour and pasta made from these. Drinks – green tea/herbal tea, though ground dandelion root is still better/oat milk. Add the following to Week 2. Sprouts of various beans and seeds. Grains – wheat and corn, wholemeal flour, wholemeal pasta, polenta, keep avoiding bread. Legumes – red, yellow and brown lentils, dried beans including chickpeas. 1 tbsp. of dandelion root; 1/2 stick of liquorice; 1/2 tbsp. aniseed. Add 750 ml of water. 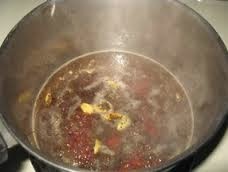 Bring to the boil and simmer for 20 minutes until the liquid is reduced by about 2/3. Steep and allow the ingredients to cool down in the liquid. Strain into a cup. Drink 1 cup 3 x a day. 1 tsp. fennel seeds; a tbsp. of melissa leaves (dried), pince of cinnamon. Cover the leaves with hot water, leave for 10 mins. Drink after dinner. 1.5 tsp. of fennel seeds; 1.5 tsp chamomile flowers; 1/2 tsp of mint. Cover the leaves with hot water, leave for 10 mins. Drink after dinner. 3 tsp. dried marigold flowers; 2 tsp dried lemon verbena; 2 tsp dried crushed rosehips; 600 ml of hot water. 1/2 cup of dried hibiscus flowers to 3 cups of water. Bring to the boil, boil slowly for 3 minutes. Add 2 tbsp. sugar. This drink can be drunk cold as well. 1 tsp dried chamomile, cover flowers with hot water. Leave to cool a bit. Add honey to taste.